Fountain pumps are available in a wide variety of types, sizes and efficiencies. The two basic types of fountain pumps are submersible and in-line. Submersible pumps are much easier to install and maintain but do have the disadvantage of being non-repairable. In-line pumps can be repaired but installation is much more complicated since they require priming and need to be installed in a weatherproof enclosure. 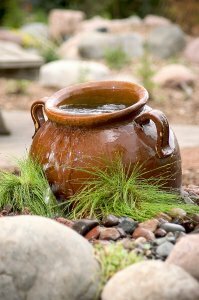 We recommend high-efficiency submersible fountain pumps properly sized to achieve the necessary flow rate at the desired height required for your Garden Fountain. 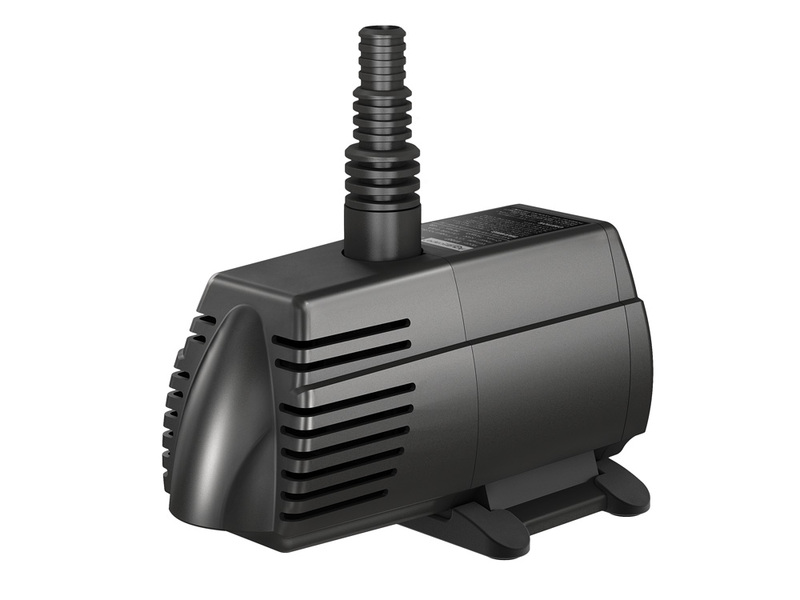 Magnetic-driven submersible pumps are highly efficient but somewhat limited in how high they can push the water. Direct-drive submersible pumps can push water higher but may not be as efficient. When comparing fountain pumps be sure to consider the lifetime cost of each pump. Low-efficiency pumps are cheaper to purchase but very expensive to operate. High-efficiency pumps are more costly to purchase but the cost difference will normally be made up within the first year of operation due to lower energy costs. High-efficiency pumps normally include a longer warranty period as well. To size a fountain pump you need to determine the required flow rate and the height at which this flow needs to be delivered. Pumping height is determined by the difference in height from the top of water level to the pump discharge level. Be aware that many advertised pump flow rates are the maximum flow rate at zero feet. The fountain pump you choose must be capable of producing the required volume at the required height. To reduce friction loss the piping you use should be the same size (or next size larger) as the pump discharge. 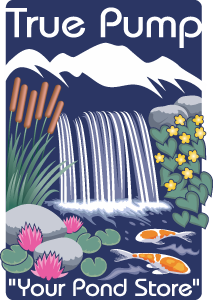 True Pump carries a wide variety of fountain pumps to choose from. We have many years of experience in pump sizing and will be happy to help you determine the best choice for your individual application.